The time standing empty affected the systems and condition of this house. 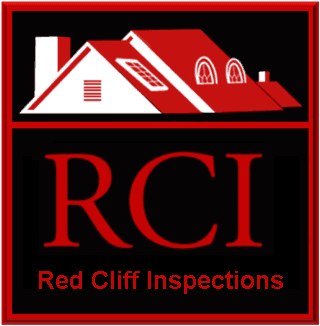 Without someone to consistently check on any empty home it will deteriorate over time. Things will inevitably fail unnoticed, 'creepy crawlies' and critters of all types will make their way inside, and dust will settle. In this case the heating system did not fully function, spiders were lurking in corners, and mineral stains were present in toilet bowls. Without regular use an exterior hose bib had seized to the point it was nearly impossible to use without fear of damage. Leaving a home empty and without consistent attention can have a seriously deleterious effect. Over time, a lack of periodic and methodical attention may allow serious damage, and can cause big and unnecessary repair expenses. In this case the effect was not as bad as it might have been. There were no high cost repairs, and the potential buyer saw past these negative conditions and was able to see the potential the home could offer. This will not always be the case. There are a myriad of potential preventative solutions that might be employed when a home will be left empty for an extended period. The following points are just a sampling of what might be done. Find a house sitter you can trust. Someone to live in, and care for (and not abuse), your home. Hire a reputable company that specializes in caring for home when their owners are away for extended periods. To lower utility costs thermostats may be adjusted to prevent freezing or excessive heat inside the home, rather than to maintain a steady 72° F.
If utilities are to be shut off, and the home left empty, be sure to drain water lines, secure the power to appliances, and unplug everything you can. Cover furniture, and prepare components that may be affected the environmental conditions that will be present. Stop mail deliveries or have someone pick up the mail and remove newspapers or advertising left on a doorstep or in the driveway. Have them check to insure doors are locked and that no-one has entered or damaged the home. There are numerous other solutions not mentioned here and the climate, environment, type of home, and market the home is in will all make a difference in what should be done. The time and money spent preventing problems may be recouped by preventing one water leak, or discouraging a break-in.